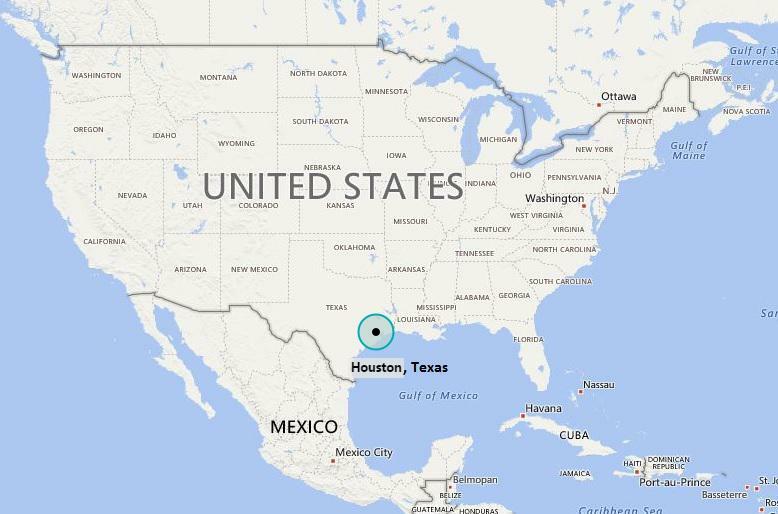 US Map showing Location of Houston in the Texas. Houston is located in the south-east of the state. Houston is the fourth-largest city in the United States of America, and the largest city in Texas. It is located 29.76 latitude and -95.36 longitude. 10 Nearby Cities Macgregor, West University Place, Bellaire, Jacinto City. 11 Major Tourists' Attraction Gerald D. Hines Water, Water Wall Park, the Galleria, Cockrell Butterfly Center, Rice University. 12 Nearest airport William P. Hobby Airport (14miles), George Bush Intercontinental Airport (21miles).